On Tuesday, Madagascar beat Equatorial Guinea 1-0 to qualify for the African Cup of Nations. 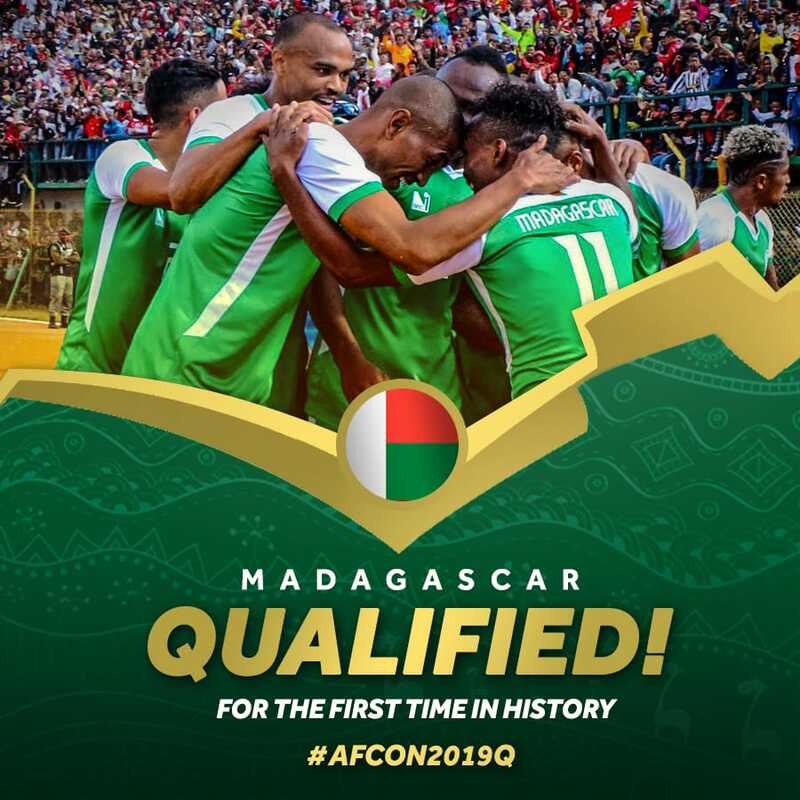 The Malagasy are the first to qualify for the competition to be organized by Cameroon. The country got their ticket, after a goal from Sukhotai FC winger in Thailand, Njiva Rakotoharimalala. On his Twitter account, the Confederation of African Football (CAF) congratulated Madagascar for this great historic step. Remember that this team has never gone beyond the preliminary rounds so far in all its history. Next articleCAN 2019 Qualifiers: Here are the complete results and rankings of 4th day!